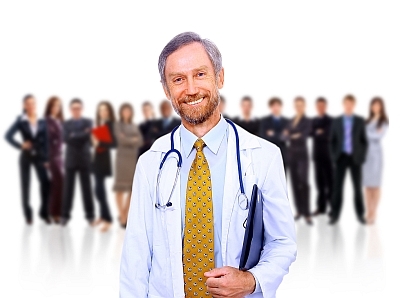 Do you stand out in competition with other healthcare providers? We all know what a ‘BRAND‘ means. It means ‘Value’. How much are you willing to pay for a certain name item depends upon what value you give it. Whether it be shoes, clothes, electronics, cars or whatever, we all have our brands that we prefer. The contents in this post are true for any business. Giving a ‘brand’ name to a physician is something that was never thought or heard of. It sounds like business. But wake up my friend. Like it or not,” Medicine is Business“. It is a service oriented business where patients are the customers. As a customer, I need to make sure I get the right Brand that meets my needs and gives me peace of mind. Healthcare has been very ‘Fragmented’. People boast of differentiated markets in healthcare, but that is not true. Almost all have the same services that they provide to the patients. Most of the practices have inbuilt labs and other diagnostics to attract patients.The value of services that you receive is called Branding. We all want the better brands at affordable price. Some segments in society do not even mind paying higher as long as they get what they want. A lot of healthcare businesses want to grow their market share. But in service sector, as opposed to products, the improvement in ‘Bottom Line’ is more important. Generating revenue is the key. They need not worry about the market share. How many people shop at Jos A Bank stores. Not too many. Does the company want to get most market share. They don’t because they can’t. They focus on the bottom line and generating revenues. Healthcare is specialized service that should not be compromised on. People should know what they can get from you as a provider that they will not get anywhere else. So how should doctors position their ‘ Brands’? 1. Focus on Service consistency: Make sure all the patients are getting the similar services without any variations. Any significant variations break the Branding structure very fast. For example, make sure all patients are seen within a certain time frame so that they do not have to wait. If waiting times variate, your brand equity goes down. So, focus on Consistency. 2. Connect to the needs of the patients:All customers have a different mindset. they all expect something different. Make sure their needs are assessed and addressed appropriately. It could be overwhelming sometimes to make everyone happy, but try your best. 3. Tap the patients’ emotions: Connecting emotionally is must. It has been a saying that ” Patient gets half better already by talking to a doctor”. I feel it is a true statement. Reassurance and good explanation of the disease process helps patients get a clear idea of their outcomes. 4. relevance to the needs and desires of the patients is must: Stick to the relevance of the issues patients are coming in for. 5. A smile goes a long way: Smiling is addictive. It is hard to see people not smiling back to you if you greet them with a smile. Smile creates positive emotions. It helps the connection emotionally. 6. Social Media: It is a must for Physicians to utilize the wonders of Social media. There are so many social networking sites to help you share the thoughts and ideas you may have with the world out there. An attractive, well informative website always helps. Pictures of the facility and the staff is a must. New Patients can easily connect with you if they see your picture before. A short video would work as icing on the cake. Tell them what you can offer and your mission. Believe me, it will sky-rocket the practice. 7. Get a logo and Tag Line: It is also a crucial step in getting branded. The Logo and tagline should convey what you can offer. It is not an easy journey for a lot of physicians to be Brand Oriented, but that is the need of the day. Those who will do it will be successful. From a patient’s perspective, it is a wise thing to know the provider you will be seeing before hand.See who offers what in the market. Health should not be compromised. The media presence and knowledge of a physician is a very strong factor that you should look for to get the best care. Do your research and make the best decision for yourself. Talk to your friends and family to get some insight about their providers and ‘Get the Best Brand’ for yourself.